J-WEL Higher Education promotes excellence and transformation in the future of education across the world. We work with global colleagues in a high-impact, outcome-driven way, towards the three A's of higher education: Access, Affordability, and Achievement. The university of the future is changing, with traditional walls and ways being reassessed. But the power of the university will remain the basis for the future of higher education. In J-WEL Higher Education we work at the frontiers, at the edge of the university of the future. Our goals are to expand and uncover effective ways to educate and to devise new ways of scaling higher educational progress. The successful university or college student of the future is a confident, entrepreneurial, problem-solver who has the tools to form a career and resiliency across the changing face of work, and who can contribute to the growth of a region or country. Our approach is outcome-driven and high-impact. J-WEL Higher Education members address their key educational goals and carry out projects with MIT input. 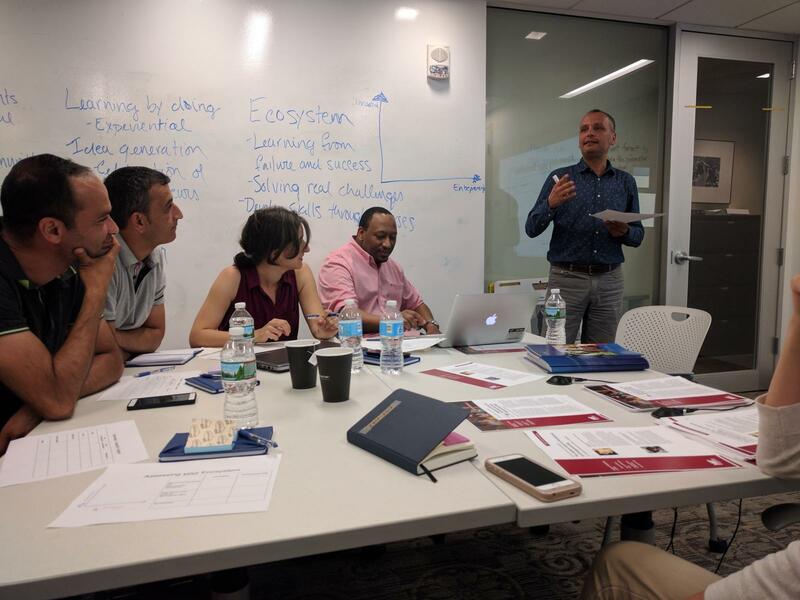 Input comes in the form of strategic discussion and planning, exclusive insights into MIT educational innovations, workshops, meetings, assessments and publications. Some topics of particular interest are faculty development through higher education pedagogy and high-impact research, curriculum design, blended learning, entrepreneurial ecosystems and gender equity within a respectful campus. Our members share goals, methods and results, so forming a global community of educators. If you are interested in joining J-WEL Higher Education, please contact Julia Reynolds-Cuéllar, jreyn AT mit.edu.